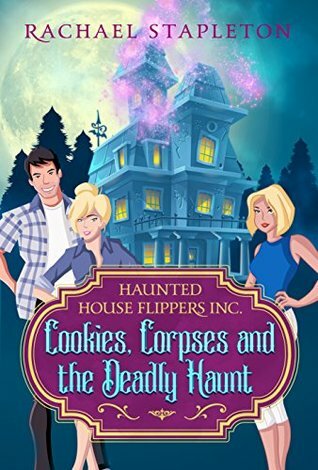 House flippers Jack & Juniper agree to lend and help prep their latest purchase—The Doctors House—an old Victorian mansion to act as the eerie setting for the town’s Halloween bash, they’re expecting to find missing floor boards, and pesky bats, not the ghostly specter of the murdered Doctors Wife. But when the head of the council is found stuffed in a trunk in the attic, it appears history is repeating. If creepy old Victorian homes are your cup of tea when it comes to Halloween chills, look no further than Cookies, Corpses and the Deadly Haunt. The site of a grisly murder 100 years ago, The Doctors House is this year's location for the annual Halloween Ball, a huge fundraiser for the historical society. The ghostly house is now in the hands of house flippers Jack and Juniper, and it doesn't take long before a body is found stuffed in a trunk in the attic and Juniper's best friend Pike becomes the main suspect. To make things even stranger, the victim's family insists that the party go on! As Jupiter falls more and more in love with the house while sorting through her mixed feelings for Jack, she also attempts to clear Pike's name which leads her to uncover a sordid family history. A cute small town, fun lead characters, a mystery filled with twists and turns, and a Halloween backdrop makes this the perfect seasonal cozy. Disclaimer: I received a free copy of this book in exchange for a fair and honest review. 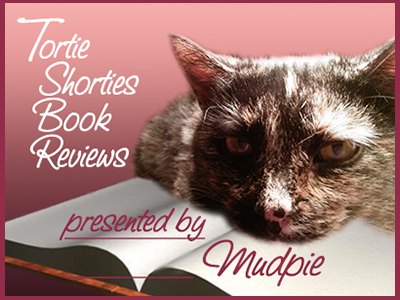 As members of the Amazon Associates affiliate program, if you click on our links and buy something Mudpie gets a little money for her piggy bank! We hope the cookies were NIP! I do love me some Halloween and Victorian mansions, so I'm thinking this is right up my alley! Thank your for sharing another fun read with us! This sounds like a fun read for Halloween!